How will the reorganization impact advancement of faculty or their trainees? We are committed to ensuring that the reorganization has no impact on the status and advancement of faculty, or on their students or trainees. Education and training remain central to VUMC’s core missions. There will be no change in your status as an educator/mentor as a result of the reorganization. As a result of the reorganization is the institution eliminating any academic departments or centers? No. We do not anticipate restructuring or eliminating academic units related to this change. Where will tenure reside for faculty? Will it vary by employment status? As will remain the case for all faculty appointments, tenure will continue to be granted by VU, regardless of a faculty member’s employment by VU or VUMC. Financial responsibility for tenure commitments made before the reorganization is completed will be backed by VU. After the reorganization, new financial commitments associated with tenure will flow to the faculty member’s employer—VU or VUMC. What will happen to the process for faculty appointments in the School of Medicine (SOM) and School of Nursing (SON)? There will be no change in the current principles governing faculty appointments. Faculty will be appointed to VU, regardless of employment by VU or VUMC. SOM department chairs will continue to originate and propose faculty appointments for consideration. Faculty appointments in SOM basic science departments will be approved by the provost or the provost’s designee, in consultation with the dean of the SOM. The dean of the SOM or the dean’s designee will perform faculty search authorization and appointments for all SOM clinical departments. Faculty appointments in the SON will be approved by the dean of the SON, with accountability to the provost. What will happen to the process for faculty promotions in the School of Medicine and School of Nursing? The faculty promotion process in the Schools of Medicine and Nursing will be very similar to the current process. The dean of the SOM or the dean’s designee will continue to have approval authority for promotions of SOM clinical department faculty. The major change is that the provost or the provost’s designee will have approval authority for promotions of SOM basic science faculty. Further, the dean of the SON will have accountability for promotions of SON faculty to the provost. Certain categories of faculty appointments/promotions will continue to require approval of the Chancellor (tenure-track and tenured) and the Board of Trust (tenured). Will faculty in the basic science departments be included in the university promotions and tenure process (e.g., review by Promotions and Tenure Review Committee)? No. As described above, the tenure and promotion process for SOM basic science faculty will be very similar to the current process. Will the leadership of the Schools of Medicine and Nursing change? No. While the M.D. undergraduate medical education program, basic science departments, and Ph.D. programs will be financially supported by VU, Jeff Balser will continue to serve as dean of the School of Medicine. Linda Norman will continue to serve as dean of the School of Nursing. VUMC will continue to have seamless integration with VU in all present and future academic missions, programs and activities, including faculty appointments, teaching and research. Will VUMC or VU administer degree-granting programs in the School of Medicine and School of Nursing? VU will be the sole academic affiliate of VUMC for participation in degree-granting programs. After the reorganization VU will continue to administer the degree granting programs for the Schools of Medicine and Nursing. VU will manage the educational administrative functions for the School of Medicine, School of Nursing and Graduate degree programs, including enrollment, Office of the Registrar, scholarships, tuition and fee collections and other services. For the M.D./Ph.D. program, the Ph.D. portion of the degree will be, as is current practice, obtained through the Ph.D. granting department or program with oversight from the Graduate School reporting to the provost. Both the M.D. and M.D /Ph.D. programs will be administered by the dean of the School of Medicine, with accountability to the chancellor. How will VUMC maintain its commitment to education at all levels? The purpose of this transition is intended to support the economic future of VUMC in a radically changing healthcare economy, allowing it greater potential for long-term growth across all missions. The strongest possible economic footprint is essential to strengthening the Medical Center’s ability to train future generations of health care leaders and to continue to lead in discovery science. There will be no less emphasis on any of our core missions. Will Medical Center and University Central faculty and staff still be able to collaborate? Yes. Faculty and staff from across all areas of the institution will be encouraged to collaborate in the same ways. 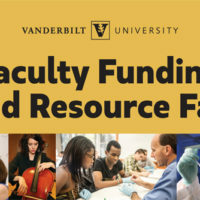 Where services supporting faculty collaboration, such as research core services, are provided from a University-based unit to a Medical Center-based unit, or vice versa, service level agreements are being developed to formalize this relationship, ensuring full access and shared oversight for VU and VUMC-employed faculty. Will faculty employed by VUMC have full standing to teach across all VU schools? Both VU-employed and VUMC-employed faculty will continue to have opportunities to teach in all of Vanderbilt’s schools/colleges. VU will continue to determine standard rates for these efforts in trans-institutional and cross-college teaching. Will VUMC-employed faculty be eligible for membership in the Graduate School faculty? VU, through its provost, is responsible for leadership and administrative oversight of Graduate School programs involving faculty employed by VUMC. VU will financially support doctoral training programs in the biomedical sciences that continue to operate with student selectivity and quality of top 20 peer institutions. VUMC-employed faculty who seek to train students for graduate degrees (M.S., Ph.D.) must have an appointment as a member of the Graduate School faculty. This is achieved by a secondary appointment in a VU-based department sponsoring the training program, or for VU-sponsored programs by an appointment granted through the program and directly by the Graduate School. All existing graduate school appointments will be continued through the transition. How will doctoral training programs in the biomedical sciences be supported? All faculty holding appointments to train students will be full participants in the training programs, regardless of the employer. All faculty will have the opportunity and will be equally considered for leadership positions in the training programs. For example, in cases where a VUMC-employed faculty member serves as a director of graduate study in a Ph.D. program, the faculty member will be accountable to VU for that function and will be compensated for her/his effort. Will the reorganization impact resident physicians or clinical fellows? No. There will be no changes to current employment practices or other aspects of internship, residency or fellowship training. All graduate medical education accreditation will remain in place. VUMC will remain the sponsoring institution for all ACGME-accredited GME programs, and will manage and finance all costs for GME programs and administration, and will do the same for other professional and clinical non-degree education programs within the Medical Center. VUMC will directly finance these programs and provide all operational, administrative, teaching and resident/fellow/trainee costs. All such programs will need to meet the standards established for curriculum and accreditation, and be approved through established processes for offering such degrees/certificates. As a result of the reorganization which School of Medicine departments, centers and institutes will be part of VU? Which will be part of VUMC? Departments: Anesthesiology, Biomedical Informatics, Biostatistics, Emergency Medicine, Health Policy, Hearing and Speech Sciences, Medicine, Neurology, Obstetrics and Gynecology, Ophthalmology and Visual Sciences, Orthopaedic Surgery, Otolaryngology, Pathology Microbiology and Immunology, Pediatrics, Physical Medicine and Rehabilitation, Psychiatry, Radiation Oncology, Radiology and Radiologic Sciences, and Section of Surgical Sciences. Centers/Institutes: Bill Wilkerson, Biomedical Ethics and Society, Vanderbilt-Ingram Cancer Center, Vanderbilt Institute for Clinical and Translational Research, Diabetes, Experimental Therapy/Personalized Medicine, Genetics, Global Health, Health Services, Imaging Sciences, Kennedy Center, Medicine and Public Health, Vanderbilt Vaccine Center and other clinical department-based centers and institutes. Will the rights, obligations, and privileges of faculty employed by VUMC be equal to those afforded to faculty employed by VU as defined within the Faculty Manual? Yes. There will be one Faculty Manual governing the relationship of faculty members with Vanderbilt University, regardless of employment by VU or VUMC. Will faculty employed by VUMC have full standing to serve in and be represented by the Faculty Senate and SOM faculty governance? Yes. The reorganization does not require, nor do we anticipate, any changes in representation in either the VU Faculty Senate, or the School of Medicine Executive Faculty Committee. How will the strong culture of collaboration in research between VU and VUMC be maintained after the transition? The recent academic strategic plan was developed by all VU-appointed faculty, and was endorsed by all VU deans and a broad array of VU and VUMC senior leaders. To further ensure both entities continue to develop research programs in a mutually-supporting manner, VU and VUMC will develop research programs together through joint strategic planning and joint faculty recruiting. In addition, the leadership of VUMC, including the SOM department chairs and center directors, will be committed and supported to participate in research efforts that engage the full spectrum of basic, translational, and clinical research activities. How will the transition affect the offices involved in applying for external funding (e.g., Office of Sponsored Programs, Office of Contract Management)? We are developing service level agreements that will allow VU and VUMC to communicate seamlessly with each having its own pre-award and contract offices. How will the transition impact salary and benefits for individuals who will be employed by VUMC after the reorganization? We are committed to minimizing the impact of the reorganization on compensation and benefits for faculty and staff. As is the case currently, VU and VUMC will reserve the right to adjust benefits offerings from time to time in the future. What will happen to my retirement funds? The retirement plan structure, contribution and match levels, and funds will remain the same. Both VU and VUMC employees will continue to participate in the Vanderbilt University 403(b) Retirement Plan at this time. Any changes to the plan design, including creating a separate plan for VUMC employees, will be communicated as decisions are made and details are available. Will VUMC employed faculty and staff remain eligible for the dependent tuition benefit? Everyone currently eligible for the Vanderbilt tuition benefit will remain eligible through their employing organization, including tuition benefits for dependents/children/spouses/partners. There is no intention for VUMC to alter plan features, such as the number of children covered or coverage levels. For VUMC faculty members who have a faculty appointment through VU there will be no change in the tuition benefit as a nontaxable benefit. For VUMC staff, the dependent tuition program design and eligibility will remain the same at legal close, but the federal tax code requires tuition paid on your dependent’s behalf to be treated as taxable income to you. To help offset the impact of these guidelines, VUMC will pay an amount toward income and FICA taxes on your behalf. Will VUMC-employed faculty remain eligible for the 5 percent faculty salary supplement? The faculty salary supplement, equal to 5 percent of a faculty member’s salary up to $10,500, is a benefit intended for retirement planning purposes. This benefit will continue to remain in effect for members of the faculty employed by VUMC. The salary supplement will continue to be treated as taxable income, unless the participant elects to defer all or a portion of the salary supplement through a salary reduction agreement. Will there be any change in the health plan benefits? Health care/insurance options will remain as currently configured for all VU and VUMC employees. Can I still send my children to the Vanderbilt Child Care program (Child & Family Center)? Eligibility to enroll children in the Vanderbilt Child Care program will remain the same for VUMC and VU employees. For more information on the transition, visit the Human Resources organizational transition website.